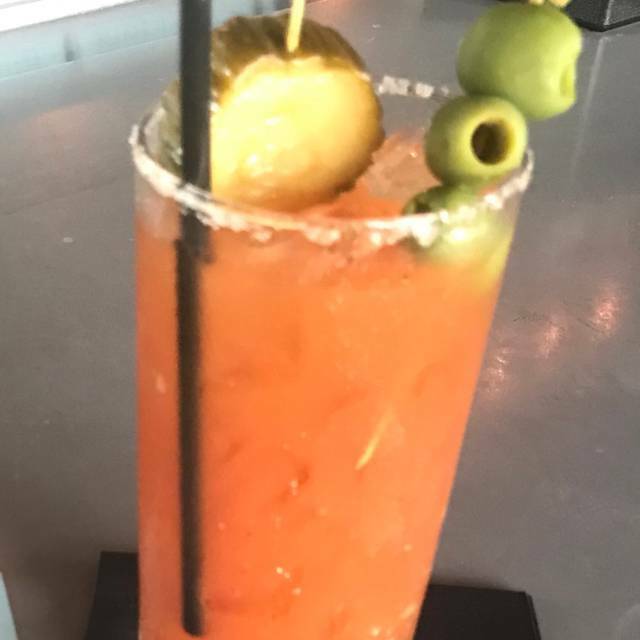 You must make reservations at least 5 minutes in advance of the time at The Warehouse Cuisine and Cocktails. 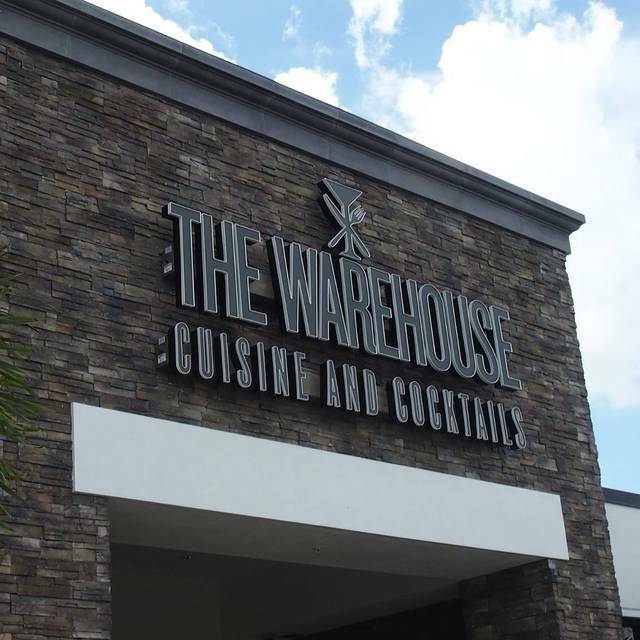 The Warehouse Cuisine and Cocktails is…..A Family owned and operated restaurant, using the freshest, most local ingredients all prepared from scratch! We pledge to provide you with an exceptional dining experience and we strive to have the best service in Southwest Florida! Join us for our Mother's Day Brunch or Dinner!! The Warehouse will be featuring our scratch made brunch and dinner menus plus some Specials that day designed for Mom! Complimentary Mimosa at brunch for all Moms! An amazing restaurant!!! Excellent cocktails! They make all food in house (even down to the ketchup and all dressings). Their pastas are to die for!!!! Three couples went on a Sat night and we shared 3 appetizers....a special Reuben Flatbread, PEI mussels, Beer Cheese Soup w Pretzel. WOW! We were even using a spoon to drink all of the Mussel broth!! All of our entrees were spectacular. No room for dessert....next time!! HIGHLY recommend this place! Good portions, great quality, friendly prompt service, reasonable prices, good value. A favorite nice / casual dining experience. Excellent food excellent service by Kiersten. Great bar area as well as dining room. Pork chops and Ravioli are great choices. Try to eat here about once a week. Always satisfied. Great menu for 'knoshing'. Good atmosphere and excellent staff. Highly recommend. Really nice place and lovely waitress but all of our ravioli dishes had tough pasta, our salads came at different times. The grouper was excellent but the Brussels sprouts were over charred and bitter. We live close to the Warehouse, and we really enjoy going there. This visit was no exception. I have to say, the Warehouse has one of the best burgers in Naples when you sit in the bar area. Unfortunately, that is the only place where the burger is offered. We also enjoy the ambiance in the dining room, but will sit in the bar when we're in the mood for a burger. 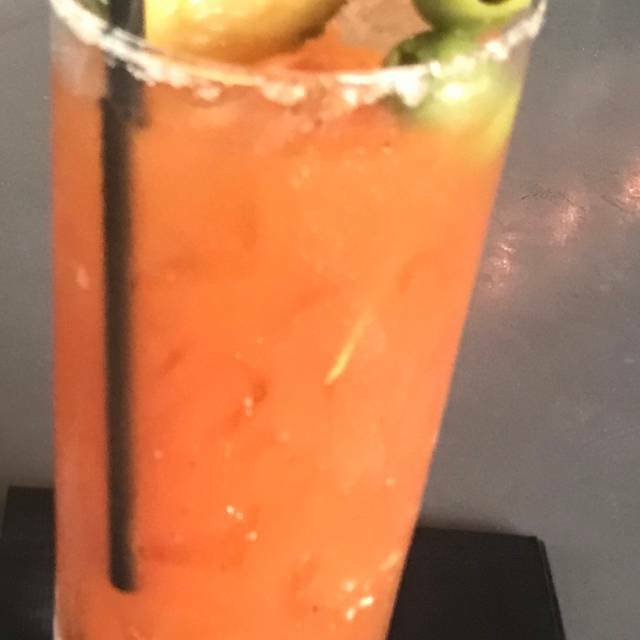 We think of the Warehouse as our neighborhood restaurant, and we would highly recommend it. My only request would be to serve the burger in the dining room as it was when the restaurant opened. If you need to charge a bit more to do that, it would be worth it! Great Food and People. Just what the Estates needed. 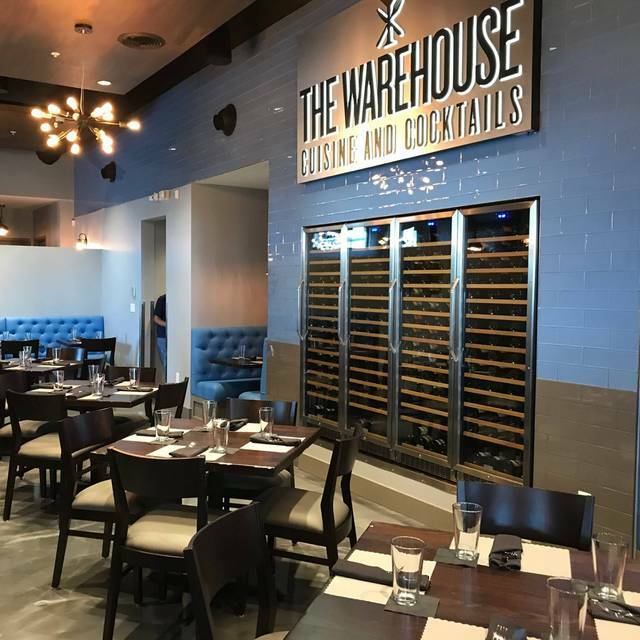 The Warehouse happy hour drink and food specials are a good value, but some are only available in the bar area (like the mouth-watering, stacked Warehouse burger) vs. the dining room. The screened in patio room is a better spot to sit to hear conversations with others, otherwise the noise level overall is very high. Try their homemade lobster raviolis in a sherry cream sauce for a real treat. Also, their root-beer infused pulled pork flatbread is totally delicious. I had the steak sandwich, fries a went away hungry. Their menu was mostly farm, market to table. Would I try them again, not sure. We were greeted at the door by the Hostess who sat us immediately. Our server Kiersten was super friendly and very accommodating. Cuisine and Cocktails we started with Cocktails which were great and then moved on to wine which is got to be the best pour in Naples. Food was Outstanding a true scratch Kitchen and you can taste the difference. Keep up the Great work. We drive 30 minutes to eat here and it’s worth it every time. Loved the seating area. Great for conversation. Our server was great but the kitchen put onions on my son’s pizza and the food temperature was inconsistent. It seemed like they let it sit while the other items that went on the plate finished cooking. The manager did offer to comp my husbands dinner but we wouldn’t let him. We love this place and are hoping it was a fluke. I absolutely love The Warehouse! Menu is unique, a little pricey, but well worth it. This was our first time and unfortunately our last time! The acoustics were really bad, we could not hear each other, (there were four of us), and the menu choices were different but okay, we like to try different foods, only thing is, it wood be better to have some things people do recognize. Also, we asked for bread and was told you don't have any but every pasta dish came out with pieces of bread!! We feel if you don't change a few things, you won't be open for long . Sorry!! Great food & friendly service! The name of the restaurant is an obvious tip off, of what to expect. Cold, Stark and pretty much a clean, painted warehouse. No photos or art on the blank walls and no ornamentation to be found, anywhere. That being said, check the menu out. There is nothing on this menu, for eating, that you have had before, unless you have eaten here. I had the Salmon and it was a fairly large portion on a bed of vegetables and finger potatoes. Tasteless and over cooked, to a point of total dryness. My date had the Meatball Rahman, also tasteless. Does the term "hospital food" mean anything to you? Our server was prompt, knowledgeable and made timely periodic visits to our table. But it doesn't make up for tasteless food. 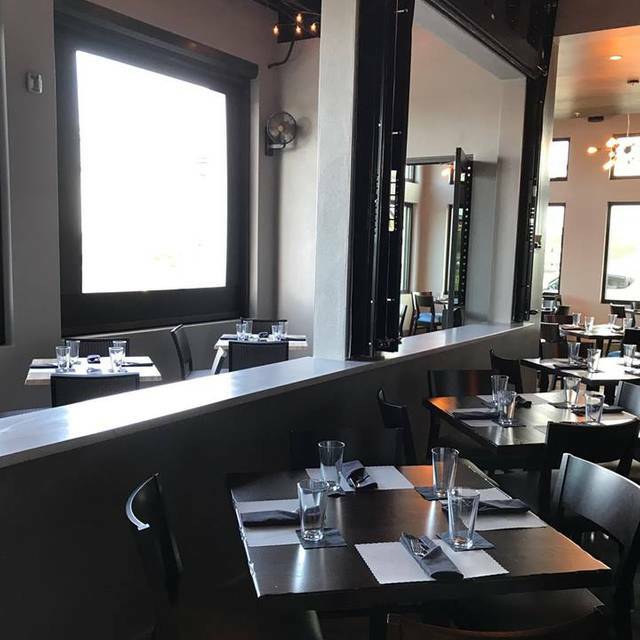 A hundred plus dollars, for two people, including only one glass of wine, deserves a lot more than this restaurant has to offer. BTW, no salt or pepper shakers on the tables and you get milk, not cream with your coffee. And no, we won't be back. Overpriced for meals with only an entree. Salmon way over breaded and then overdone. Side dish with lamb had very little squash. Not any bread served with the meal. Our waitress did an excellent job with extra descriptions. We had such a good experience the first time we went to The Warehouse that we've returned twice (so far) and taken friends with us each time. Friendly, knowledgeable service. Great food. Very nice building and furnishings. No complaints at all. One of our favorite places to eat in Naples. Overall good experience. Duck was wonderful. Was told it would be $2 to replace one vegetable with a second helping of the other selected. Ran out of chocolate cake. Get real. Loud... pasta and ravioli very thick and pasty... not much filling in ravioli. Duck ordered medium and came very rare, asked to replace couscous with potato ?? Not allowed. Fried 1/4 chicken breast with wild greens $34??? Well I'd heard that the Warehouse was sliding downhill but I'm not one to follow the crowd. We dined on a week night as a party of three. Parking used to be difficult, but now the open lot made the valet seem unnecessary. We were first ushered to a four-top right in the middle of the traffic flow although there were three other unused tables. We had to suggest other seating three times before we were taken seriously. Our server did his best to accommodate, but the menu has been downsized. You were thinking you might try their delicious burger or beet salad? They are no more. Thinking the concentrated menu might mean it would be done well, I ordered the duck. Being from Long Island, I know my duck. In the 70's we used to frequent the Duck Joint in NYC. I requested crispy skin, medium-medium well meat. The plate had blood spilling into the risotto,so it was not allowed to rest. The skin was not crispy. I sent it back. It wast returned to me well done and replated with new risotto. The bread pudding dessert was delicious. Now here is my take- people used to flock there in the past. Give the people what they want. Stick to what you do well. Fantastic! Duck was amazing. Great service. Best dinner in Naples this week. We loved the bar area. The burger was outstanding. The fresh pasta for the kids was a bonus too. They cleaned their plates! This is a great place to eat!! We loved the clean lines of the reataurant & the feel of the place. The food was delicious and the service was great. Everyone is very friendly. We will definiely come back and tell our friends to give it a try. We enjoyed a nice casual evening at The Warehouse. My lobster thermidor ravioli was very good. We love going to the warehouse! Fabulous cocktails great food and impeccable service. Emily was our server and she was so knowledgeable about the menu, she made suggestions and we really enjoyed our dinner. Emily was friendly and did great job checking on us. I highly recommend the warehouse as it’s a scratch kitchen and the food is really fresh and delicious. We love bringing our friends to try out. Terrific food and great service. A bit noisy, but food was great. Great restaurant...love that it is on OpenTable and you can make reservations! Food delicious and everything made in house right down to the ketchup and other condiments! 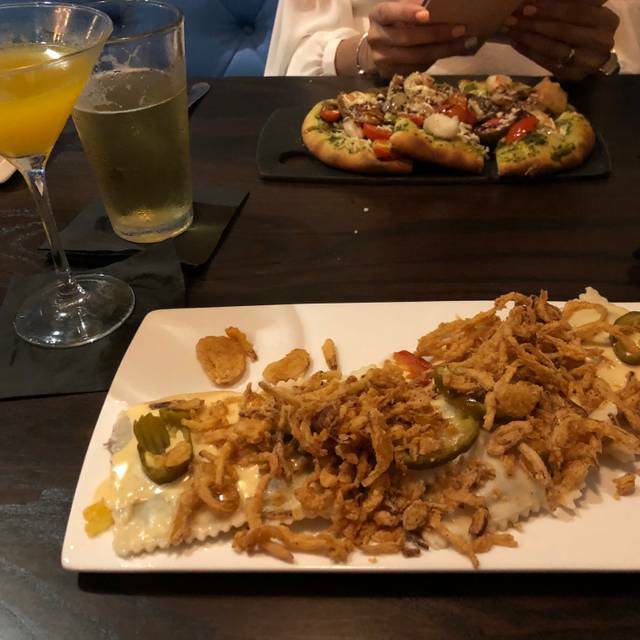 Loved the cheesesteak ravioli. Definitely going back.